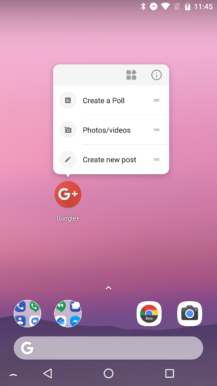 Most updates to the Google+ app tend to fit the "bug fixes and performance improvements" theme, but last month's release of v9.20 did bring custom notification channels for Android 8.0 Oreo – but maybe not the ones we needed. Today's bump to v9.23 makes a similarly subtle addition with support for a slightly older OS feature: App Shortcuts. If you're running on 7.1 Nougat or above, or using a custom launcher with support for static app shortcuts, you'll now have the option to quickly start a few different types of Google+ posts directly from your launcher. 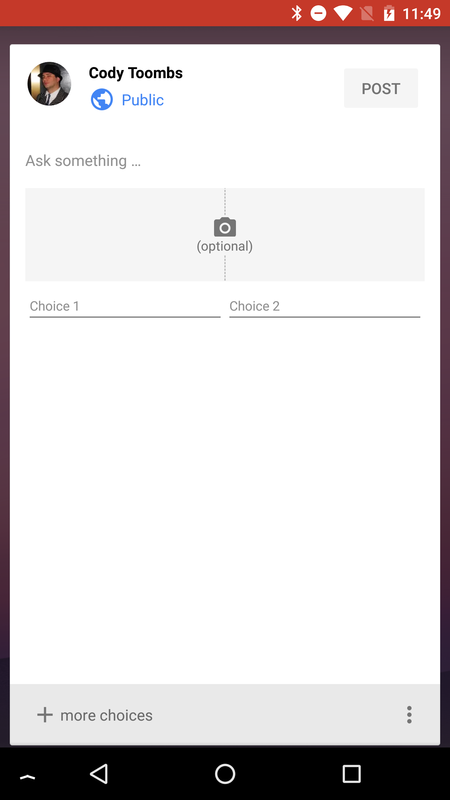 Three new actions have been added: Create a Poll, Photos/videos, and Create new post. Each of the shortcuts opens a dialog to create the appropriate type of post. If you have more than one account signed into Google+, you'll also be prompted to choose which one should be active each time one of the shortcuts is used. It is a little bit of a speedbump, but that will definitely prevent you from accidentally posting something under the wrong account. App shortcuts probably won't directly save much in the way of time or taps, but it does mean you'll be able to start a post without first passing through a view of your feed. It's fairly common to see Twitter users remark that they can't use clients that show a view of their feed before tweeting because they are too easily sidetracked and often end up spending several minutes reading. 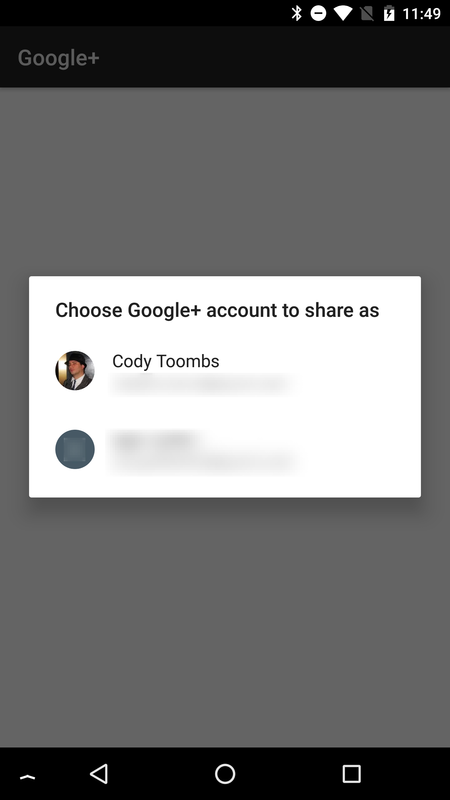 For that reason alone, I imagine a lot of G+ users will be pretty happy about getting these shortcuts.